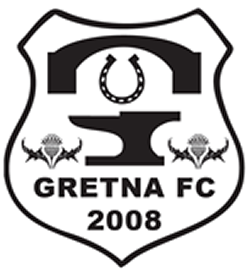 Gretna travelled to the capital on a wet afternoon to take on Edinburgh University at Peffermill. The two teams played at Raydale in August where the “hoops” ran out two nil winners, goals from Mark Worrall and Robson Halliday gave Gretna the points. The visitors went close in the opening minutes, Iain Anderson heading just over the bar as Gretna pushed the Uni defence back. Nick Cassidy operating in midfield alongside Connor Graham and Adam Main was providing ball for the front two of Milligan and Anderson. Gretna opened the scoring in the 15th.minute after Inglis and Longcake combined to feed Anderson in the area. The big number nine took the ball along the goal line and from an acute angle fired past Uni keeper Tait into the far bottom corner of the net, 0-1. Goal number two came from a mistake by Tait when he failed to hold a Longcake shot and the ball fell to Milligan who had the simplest of tasks to knock the ball into the unguarded net from within the six yard box in the 18th.minute. The home side did enjoy short spells of possession and were unlucky when Aitken’s header crashed off the bar in the 32nd.minute. Gretna went further ahead when a Cassidy corner picked out Anderson at the near post, his header rocketed into the net with the Uni defence posted missing. H/T 0-3. Edinburgh came out for the second half a team with more determination to reduce the deficit and get back into the game. In the early stages Uni appeared to be doing all the attacking but still couldn’t beat Wright in the Gretna goal. Cassidy should have done better when presented with a chance at the back post when Longcake found him with a cross, but the young midfielder sliced his effort wide of the target. Down at the other end Wright had to react quickly and tip over a net bound header as Uni upped the pressure. McGuffie and Inglis were seeing more action in the second half than the first as it was Gretna’s turn to soak up the pressure. In the 68th.minute Longcake dribbled into the Uni box and unleashed a powerful shot but it was deflected behind for a corner. 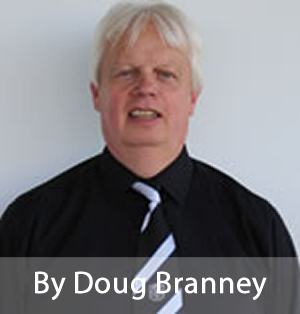 Gretna manager Stuart Rome made his first substitution in the 78th.minute Mark Worrall replacing Nick Cassidy. The home side produced a series of corners but still couldn't beat the defiant Wright as the keeper stood between them and a goal. With ten minutes to go Rome made his last two substitutions Jordan Barker for Anderson and Danny Graham for Adam Main. Uni must have known it was not to be their day when Wright saved at the feet of Aitken after he raced onto a wayward pass by Danny Graham. F/T 0-3. M.Tait, F.Thomson, P.Sutherland, C.Irvine, D.Black, F.Daniels-Yeoman, D.Ward, S.McFarlane, J.Aitken, G.Nikolaides, R.Patterson. Subs : J.Guthrie, J.McFarlane, C.Williagham, J.Maelges, S.Hainey. G.Wright, J.Blake, G.Thorburn, R.McGuffie, A.Inglis, N.Cassidy, C.Graham, A.Main, I.Anderson, S.Milligan, B.Longcake. Subs : M.Worrall, J.Slattery, J.Barker, R.Halliday, D.Graham.